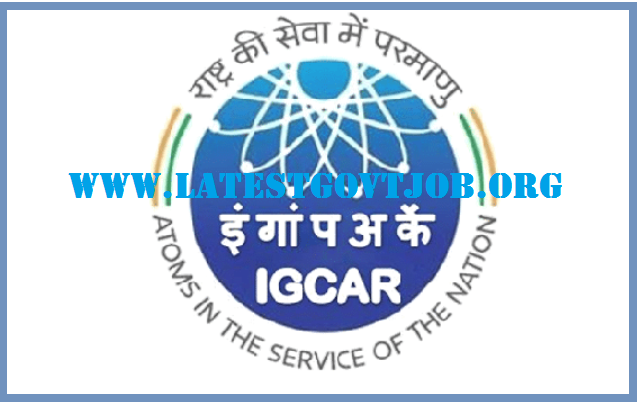 IGCAR Recruitment 2018 for Scientific Assistant & More 248 Vacancies - www.igcar.gov.in : Indira Gandhi Centre for Atomic Research (IGCAR) has released a notification for the recruitment of 248 Scientific Assistants, Stipendiary Trainees (Category I and II) and more. Interested candidates may check the vacancy details and apply online from 18-05-2018 to 17-06-2018. For Scientific Assistant: Candidates should have passed Diploma in Civil/Mechanical/Electrical/Chemical/Architecture Engineering with 60% marks from a recognised institute. For Stipendiary Trainee (Category I and II): Candidates should have passed 10+2 with Science and Mathematics OR Diploma in Mechanical/Electrical/Electronics & Comnunnication Engineering from a recognised board/institute. Selection of candidates will be made on the basis of Preliminary Examination, Advance Examination and Personal Interview. General/UR/OBC candidates have to pay application fee through online mode using Net-banking/Credit or Debit Card. Note: SC/ST/PWD and Women candidates don't have to pay any fee. Interested and eligible candidates may apply online through IGCAR website - http://www.igcar.gov.in/ - from 18-05-2018 to 17-06-2018.